FUNNY! 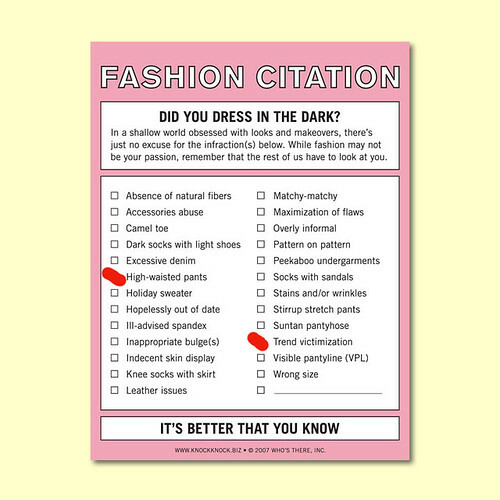 Love these fashion citations... I could've written them out right and left last night at a concert... although maybe they were being artsy! I just love your site. What a fun daily read. I put you on my "favortes" list on the blog I started last week so my friends can visit you too!